Baines River Camp, just outside the unfenced Lower Zambezi National Park, commands spectacular views over the Zambezi River. Follow in the footsteps of famous artist and explorer Thomas Baines, who explored Zambia in the 19th century. 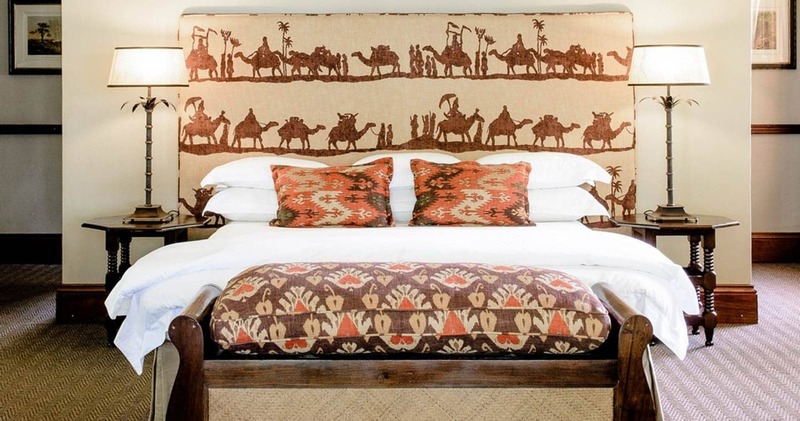 To capture the vibe of this bygone era, this safari lodge has a true colonial style. Be pampered by the service of ever-smiling hosts Phineus, Joe and Amos, pick a spa treatment and truly unwind during a Well Being massage with warm oils, or indulge yourself with delicious desserts straight from the famous Hummingbird Bakery Cookbook (manager Debbie is a true foodie). In between all this spoiling, there is, of course, a wide variety of land and water based safari activities offered, in and around the Lower Zambezi National Park. Did you know this national park is the first carbon-neutral national park in the world? In addition to game drives, river, canoe and walking safaris, Baines’ River Camp offers specialized photographic workshops, fly fishing clinics and elephant studies, led by passionate specialists of international acclaim. Learning about these grey giants and understanding their social dynamics and threatened existence will leave you with new perspectives. 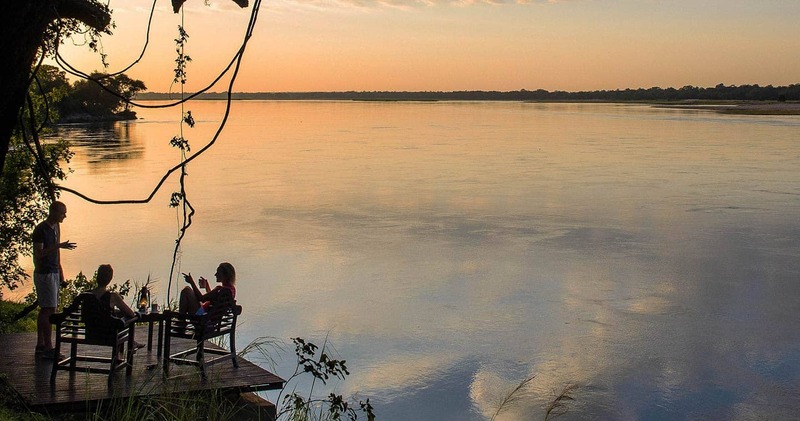 Are you ready for a full 360° Zambia experience at Baines' River Camp? Classic safari-style elegance flows throughout the property and the nine beautiful suites (including a family cottage) are luxuriously appealing and (very!) well-appointed, decorated with rich, classical fabrics and colourful kelims. 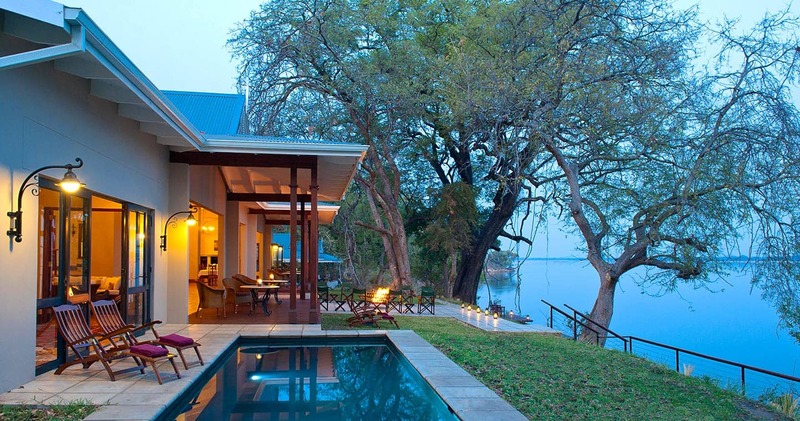 Each extends out to a personal verandah, where you can soak up the beauty of the setting: extensive views over the Zambezi River, majestic mountains, ever-changing skies and wildlife roaming freely. A true African Garden of Eden. In your cottage, every detail is taken care off: air-conditioning, ceiling fans, cotton percale linens, pure goose-down pillows and duvets, a spacious dressing area, generous walk-in showers, coffee and tea making facilities, a personal safe for your valuables and a hair dryer. The bedrooms are as ‘mosquito-proof’ as possible, with gauze sashes on the windows and insect repellent. From your suite, it is a short walk to the open-plan central spaces. Here, you will find a cosy lounge, a bar, dining area and a pool. Evenings are spent sharing stories around an outdoor fireplace. This relaxed water-based camp is ideal for simply chilling, however, the number of activities offered are almost overwhelming. Guides at this camp are rated among the best in Africa and, in detail, answer all your questions. Guides like Leonard, Luke and Weston will tell you all there is to know about animals, plants and cultural life happening around you. Especially Leonard is passionate about details: termite mounds, trees, pods, birds, mammals – you will leave with more information you ever thought you could handle. To make sure you really get the full-monty, there are game drives, canoeing excursions, walking safaris, birding trips, catch and release tiger fishing trips and social cruises (to gaze at the amazing sunset). And, let’s not forget about the informative workshop series, including the elephant workshop and the photographic workshop provided by award winning photographers Roger and Pat de la Harpe. 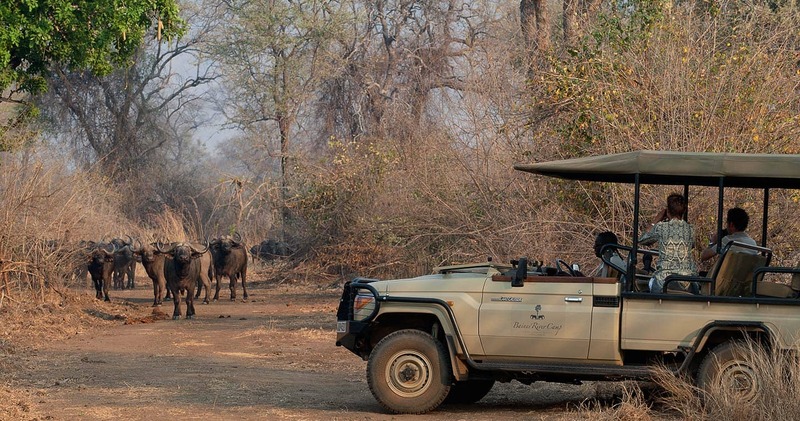 Topped off with excellent sightings of elephant, lion, leopard, zebra and wild dog, Baines' River Camp will leave you with an enchanting and everlasting African experience. From the fishing to the food to the game drives - a truly wonderful couple of days with a family of six with children from 8 to 16 years old. Staff were very friendly and accommodating. I will be going back!! 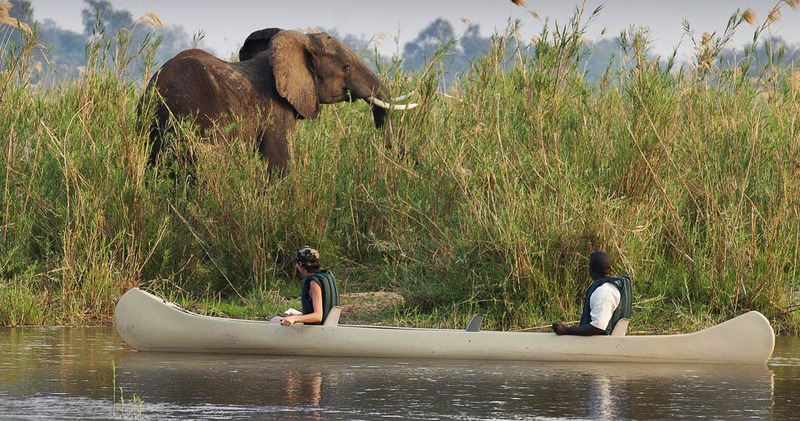 A wonderful experience on The Lower Zambezi. 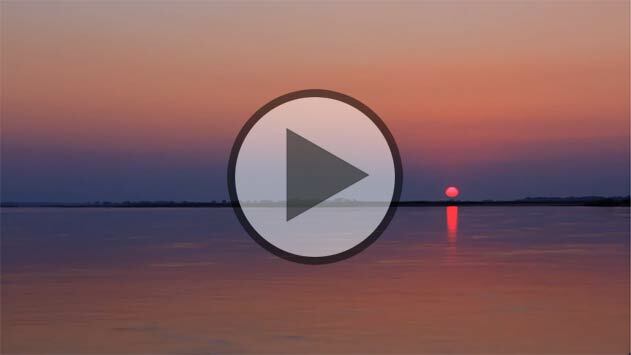 Abundant game, incredible water scenery and a magical venue. Debbie and Ben are excellent hosts,and all the staff provide friendly and efficient service.We have been on many "safari" vacations and this has been the best yet. My husband and I spent 4 days at Baines on a trip with our family on a 'familymoon' as a way to relax after a wedding and spend some time together as a new family. Everything was beyond 5-star from the food to the service to the activities (kayaking, fishing, game drives). The rooms are spectacularly luxurious, the ambiance is relaxing & magical, and we saw lots of game- only missing the very elusive leopard. On top of that the staff was so accommodating and knowledgeable, with Debbie & Ben being incredible hosts to make the experience as memorable as possible. The protection of the flora and fauna of the Lower Zambezi Valley and supporting the local community plays an important role in the daily operations of this lodge. Rates will be published as soon as available. Explore our Lower Zambezi map for more. It's (pretty much) always sunny in Lower Zambezi! 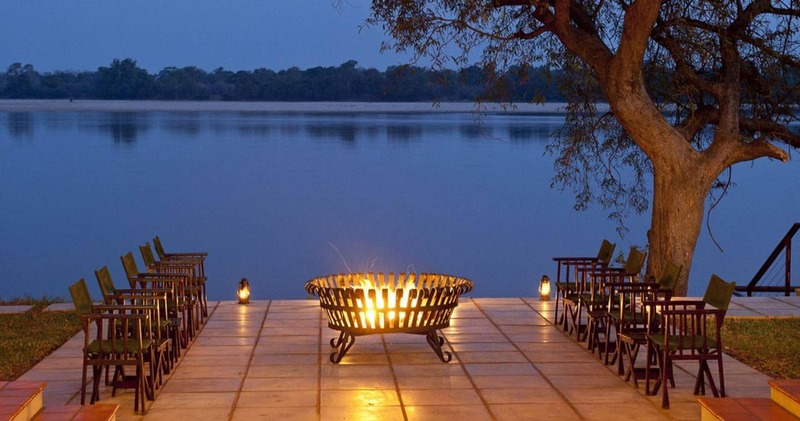 Read all about travelling to Baines River Camp on our getting to Lower Zambezi page. Baines' River Camp is best accessed through Kenneth Kaunda International Airport (LUN) near Zambia followed by a short light aircraft transfer to the Royal Airstrip. Lower Zambezi National Park entrance fee, community and conservation fee and angling fees. No children under 6 years. We hope you have found all information needed to decide that Baines River Camp in Lower Zambezi National Park is the perfect place for your next travel adventure. Please fill in the contact form and we will get back to you soon!